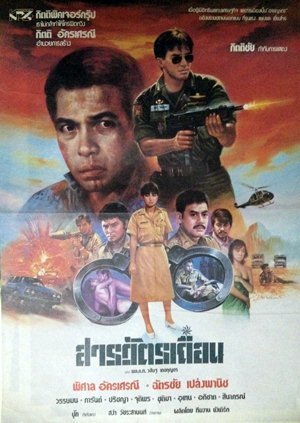 This Sinaporn Philailak movie page contains 6 records. The movie title means "What a pity!". It shows the useless life of teenagers, who are addicted. Most of them come from problematic families. They start sniffing glue, then switch to heroin. Some girls are even selling their body to get money to buy drugs. Some die due to overdose. Whith their parents' help and not rejection, they can hope to go back to a standard life. This movie got 10 distinctions at Thai awards. Sia Dai 1 (about urban teenagers and drug abuse) earned more than 50 million baht, while Sia Dai 2 (about Aids and discrimination) brought in less than 10 million baht. 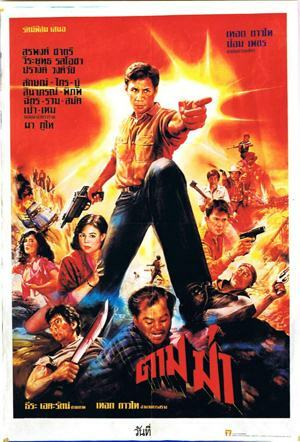 Thai movie สารวัตรเถือน was released in year 1987 and lasts 1h34mn. An honest police inspector (สารวัตร) is killed by ruffians. He was a good man (รักษาความดี). The ruffians’ leader Songyot (Uten Boonyong) is trying to buy land from local villagers. When they refuse, they get killed. The police inspector’s assistant called Chatien (Pisarn Akraseranee) tries to continue his legacy by refusing to bend to external influence of powerful notables. Chatchai Plengpanich arrives in the city. Being chased by ruffians, he punches four of them. Chatien is under risk to be expelled from the police as the new police inspector doesn't like him and frames him (รับสินบนง่อๆ). The new police inspector is friend with the ruffians' leader Songyot. 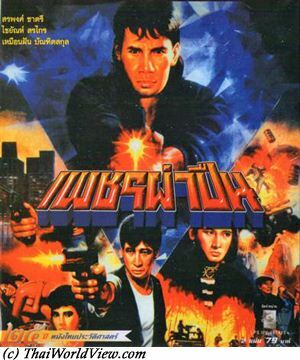 Chatchai disrupts the ruffians’ drugs trafficking. Chatchai tries to motivate Chatien to remain a good cop (เลือดและวิญญาณของจ้าเป็นตำรวจ). Chatien is fired from police but gets encouragement from Chatchai to stop drinking. Ruffians wish to know who Chatchai is (คนแปลกหน้า). A new chief district officer’s assistant called Palat arrives in the city. Chatchai is finally the chief of the police station (สารวัตรใหญ่). Chatchai does the cleaning among the bad behavior of the local policemen (ตำรวจภาษาอะไร). The new police inspector is arrested. 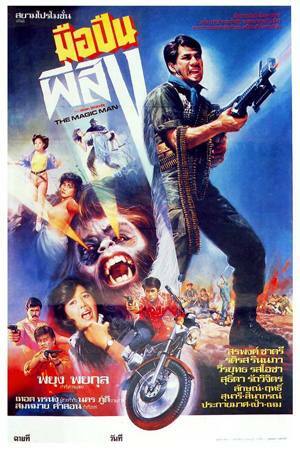 Chatien discovers that Songyot is trafficking weapons also but is then captured and tortured. Through an explosive final, Chatchai neutralises the ruffians, arrests Songyot and releases Chatien. Chatien then becomes a new local police inspector. This movie highlights the fact that Thai policemen have to do their duty towards citizen and not towards their own interest.